The Syrian Big Band was the first of its kind in the Arab world and gave big band a voice in Syria. 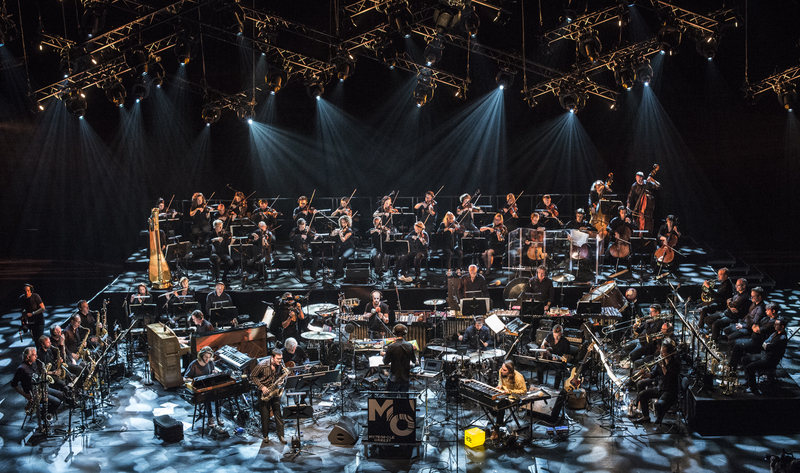 Working with the Metropole Orkest, soloists of the Syrian Big Band – most of them now live in the West – are playing an adventurous programme at Carré, packed with traditional repertoire and own energetic work. Versatile musicians such as ney player Moslem Rahal (who was at the 2016 festival with The Orchestra of Syrian Musicians), singer Dima Orsho, and singer and multiinstrumentalist Ibrahim Keivo are presenting their soulful sounds. Top clarinettist Kinan Azmeh and Dutch trumpet player Eric Vloeimans are playing the world premiere of a double concerto for clarinet and trumpet. It will be composed by Greek-Dutch Calliope Tsoupaki, whose work is often inspired by traditional music from Greece and the Middle East.